If you are looking for something a little more interesting, you can’t go wrong with this. Three gorgeous trunks of Cornstalk Draceana are the focal point of this piece. 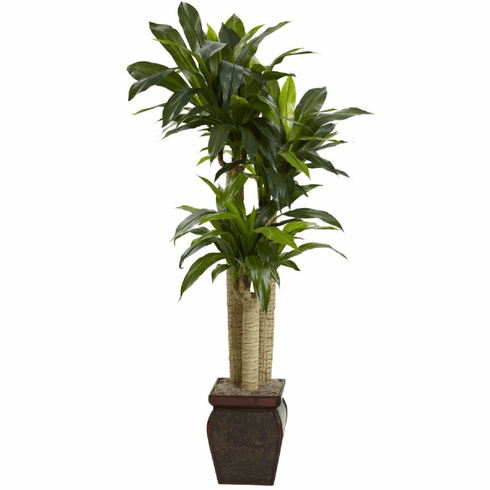 Deep green leaves and intricate trunks both with a real touch feel bring this beauty to life. Complimented by a smart looking vase, this Cornstalk Draceana will remain a curious favorite in your décor for years to come. Height: 4.5 Ft. x Width: 25 In. x Depth: 25 In. - Pot Size: H: 11 In. W: 9 In. D: 9 In.